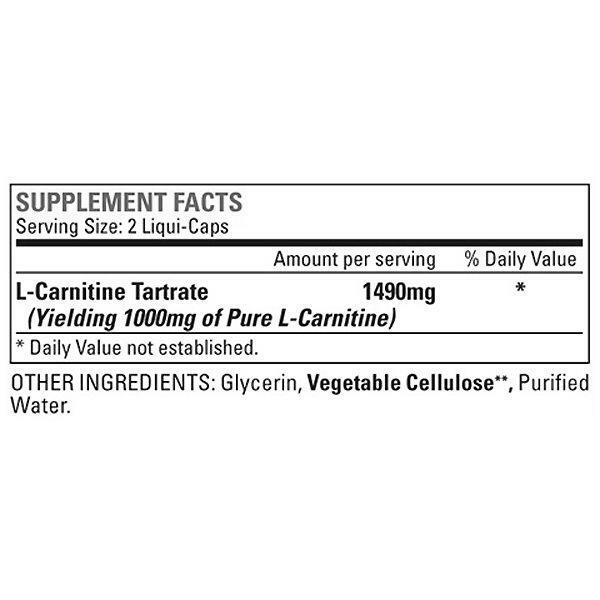 L-Carnitine plays an important metabolic role in fat burning and energy production. Scientific research has demonstrated that L-Carnitine assists your body in converting fat to energy. L-Carnitine helps to tap into your body’s fat supply by providing support to have fatty acids transported to your muscles where they can be burned as energy. This process can aid in weight loss and improve athletic performance such as increased endurance. L-Carnitine is not a stimulant and can easily be combined with other diet products. To optimize results LIPO-6 CARNITINE provides L-Carnitine in fast-absorbing liquid capsules. RECOMMENDED USE ON TRAINING DAYS: Take one serving 30 minutes before exercising with a glass of water or a beverage of your choice. RECOMMENDED USE ON NON-TRAINING DAYS: Take one serving with a glass of water or a beverage of your choice at any time of the day between meals.